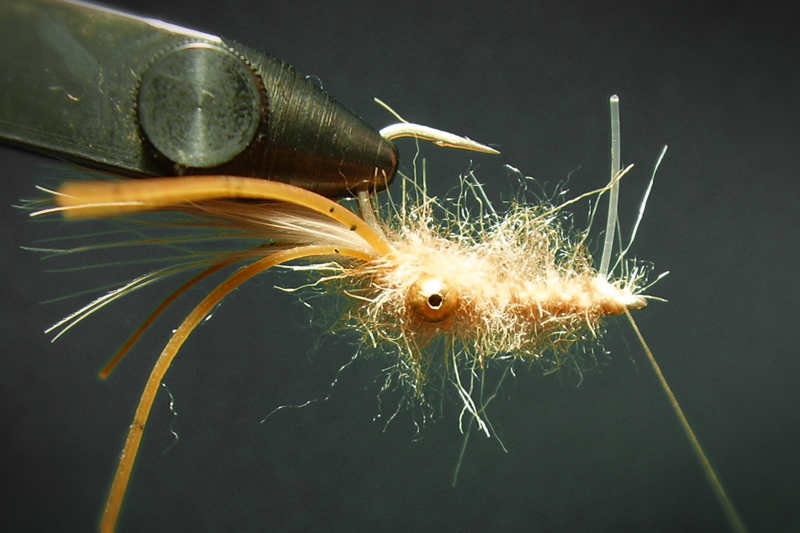 This is a reverse-engineered version of The Usual: a great bonefish shrimp fly. It’s an evolution on Vaverka’s Mantis Shrimp, but I also borrowed from Brian O’Keefe’s Bonefish Turd (one of my favourite bonefish patterns). I tied the Simple Shrimp to display a “defensive” posture when sitting. The legs are splayed, and when stripped they “kick”, so they have lots of action. 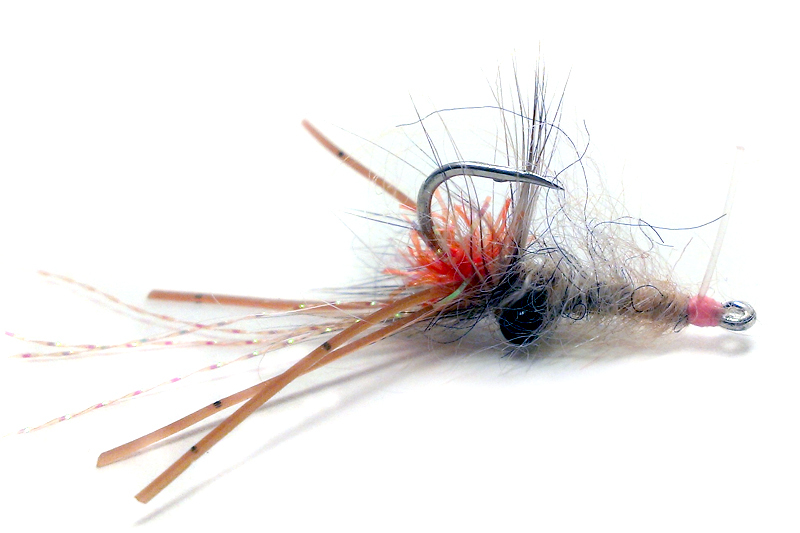 The collar (optional) is an old FL Keys guide trick, and helps this shrimp fly land softer for tailing bonefish. 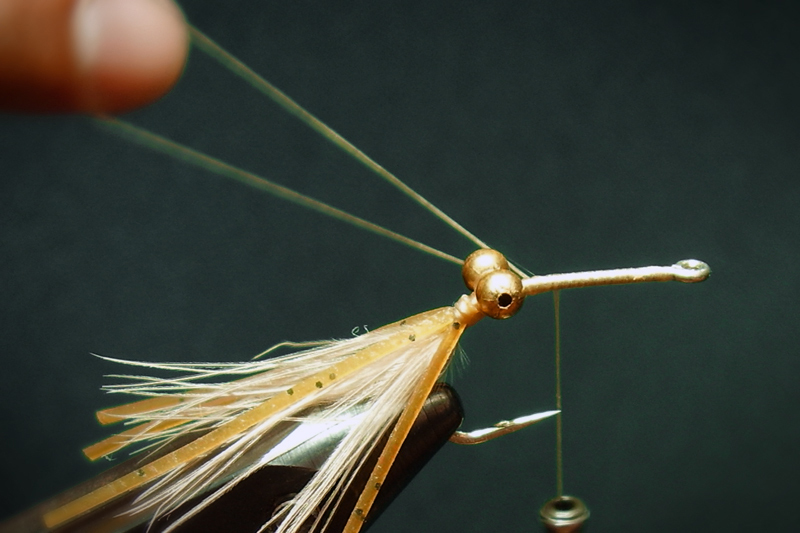 I tie this fly in several variations: some with light weight and palmered collar, and some heavier with no collar. The step-by-step below outlines the standard Simple Shrimp, which is a slimmer profile without collar so it sinks a bit faster. Usually, you want a bonefish fly to sink quickly, getting down to the depth the fish are feeding. 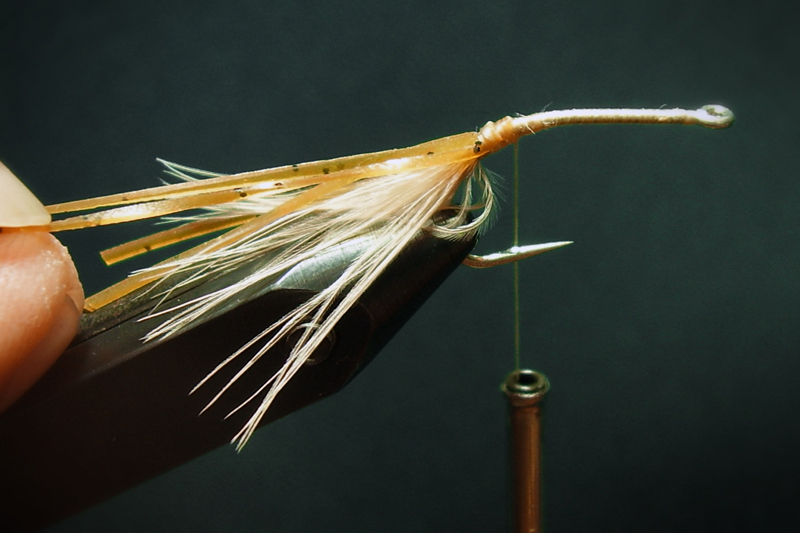 Blonde Craft Fur is my favorite material for bonefish flies; there’s something about the color and translucency that get fish to bite. It has zero bouyancy, so it sinks fast—always a paramount goal for bonefish flies—and doesn’t absorb water like wool or other natural materials, so it lands quietly on the water. Also, it’s coloration makes it a great choice over turtle grass or sand. Feel free to experiment with various color patterns. I’ve had luck with pink, white and hot-orange. This is such an easy pattern to modify; have fun with it! Fly rides hook point up. Fish with short hops or twitches. Since the materials are angled up off the bend the fly won’t track straight when stripped long. Instead, it tends to lean over on it’s side, which seems to put bones off. (I have no idea why.) So, keep the strips short: 2-3 inches max, and watch the fish for a pickup. This fly has lots of presence under water and plenty of action even when sitting still. It’s not unusual for the fish to pick it up cold of the bottom, so it can be moved minimally and left in the ‘zone’ for long time. However, make sure you keep the slack out of your line, as the take is often subtle. 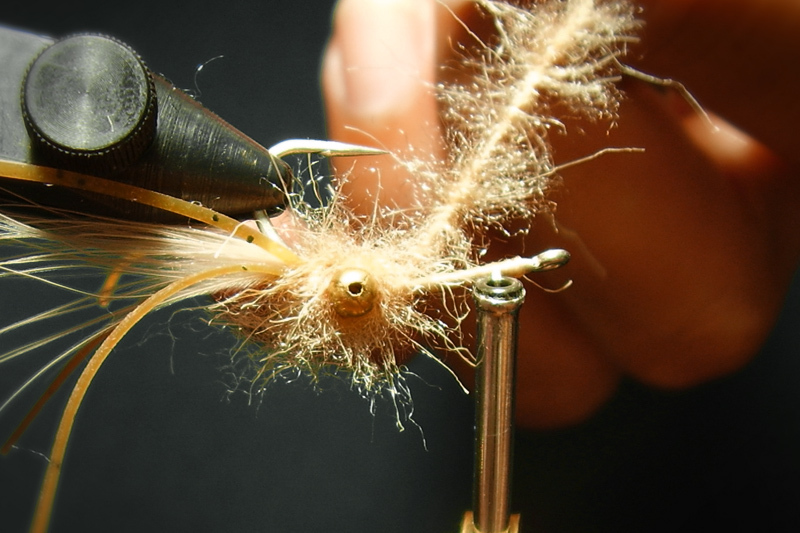 Secure hook in vise, level wind thread and tie in small clump of tan marabou or bunny at bend, extending about a hook-length back. Trim and tie down. *alt. version: tie in crystal chenille at this step instead. Pull off a single Sill-Leg and fold it in half. Take a few wraps around the middle of the double-strand. The legs should be coming off the hook at an angle, not facing straight back. 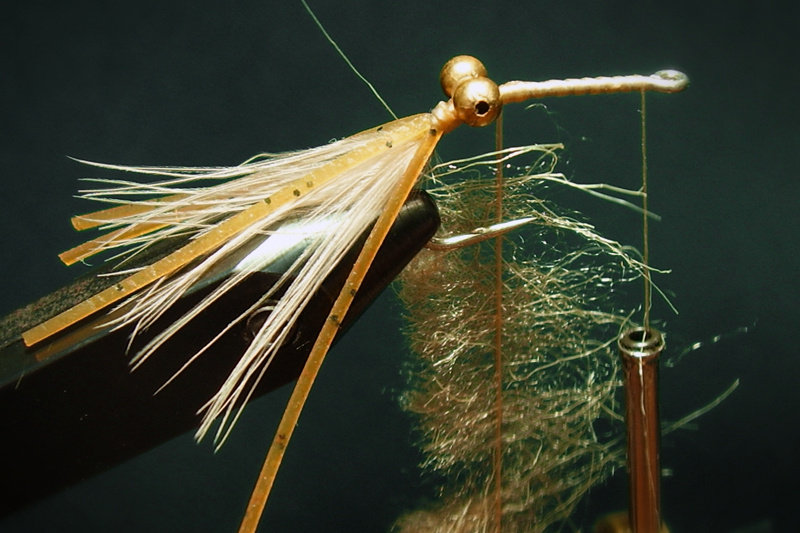 Fold the other legs toward the rear of the fly (hook bend) and secure so that 2 legs are on each side of the hook shank. Viewed from above the strands should form a V.
Tie in the eyes at the hook bend. Too far back and they get in the way of a good hook-set. Instead, of figure-8 wraps for eyes try this: make 4-6 wraps one way (which pulls the eyes to an angle) then 4-6 the other way (which should straighten the eyes). I find this increases the tension on the eyes and is as effective as figure-8’s with way less work. Insert your spinning tool in the bottom of the loop and fill the loop with the Craft Fur* underfur. I typically spread the material over 2½-3 inches to make it sparse. *I pull out and save the Craft Fur underfur when I’m tying other patterns that use Craft Fur for wings, like Gotchas or Clousers. 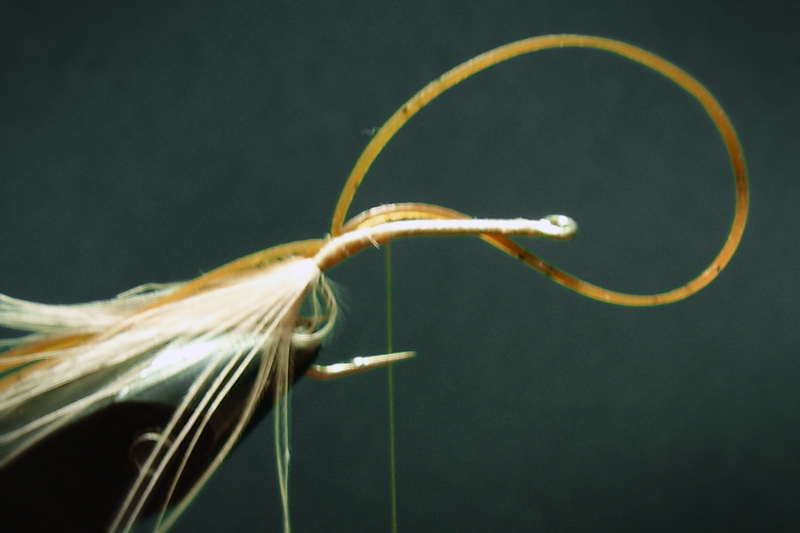 Spin the dubbing with your dubbing tool and wind it around the hook to form the body. Pay careful attention to covering the area between the eyes adequately. 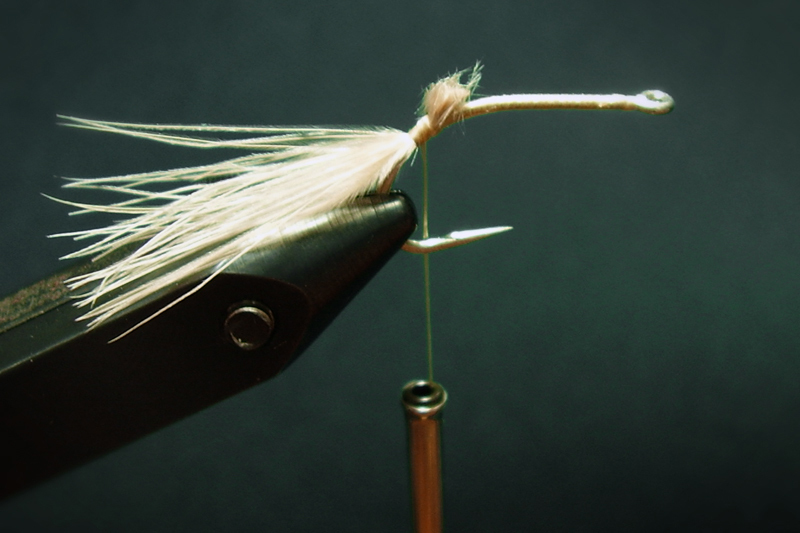 Wrap dubbing till just short of the hook eye and tie off with several wraps. Tie in Weed Guard and whip finish. Add a dab of head cement (or clear fingernail polish) to seal the head.